I've been in the spring/summer mood lately, now that the weather is finally starting to warm up! I decided that my nails needed some spring colors. 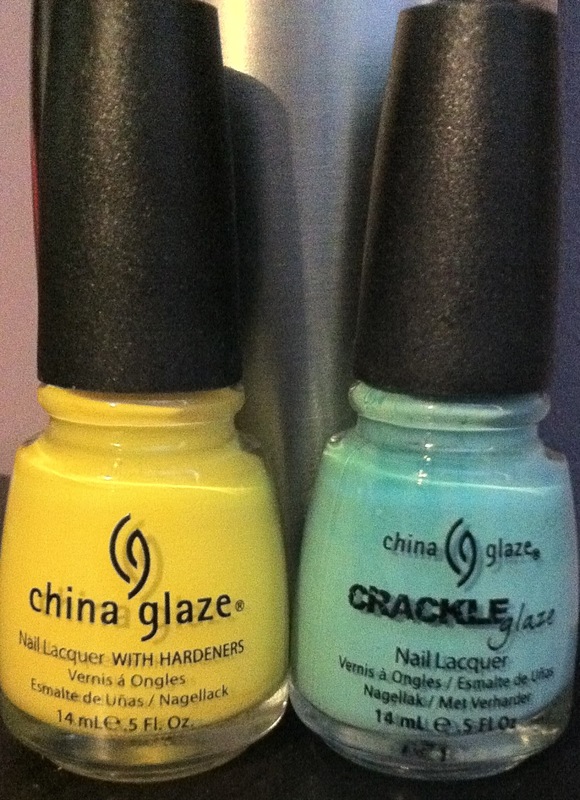 I was thinking of continuing to try on the Hunger Games collection by China glaze but then decided that I haven't used my crackle polishes in awhile. I really love this combo. The yellow China Glaze's Happy Go Lucky is a really bright yellow but as soon I put the CG Crackle in Crushed Candy on top you don't notice the brightness of the yellow as much. I've found my new love for turquoise and yellow together. Both these nail polishes do last long, about 7 days. I put on two coats of Happy Go Lucky and only one coat of the crackle. Overall I love both these colours together, and I definitely will be wearing this again since it lasts so long and doesn't chip as fast. What's your favorite color combinations for spring?